The paintbrush became a tool of hope in Ferguson. Artists young and old, amateur and professional, armed with a paintbrush came together to transform the boarded up windows of a community that had imploded upon itself in grief and anger. Painting for Peace in Ferguson captures those mostly now gone images inside a children’s book that is not, and should not be just for children. The images range from simple black and white messages of hope to murals compelling a need for social change. From single boarded up windows to complete storefronts, (and the broken windows and doors of City Hall), told the story of Ferguson, Missouri uniting behind strong ideals: loving one another and coexisting in peace. With over 140 artworks painted over the Thanksgiving holiday weekend, the images in Painting for Peace in Ferguson are powerful testaments to the human spirit and resiliency. Children likely find the events of Ferguson confusing. 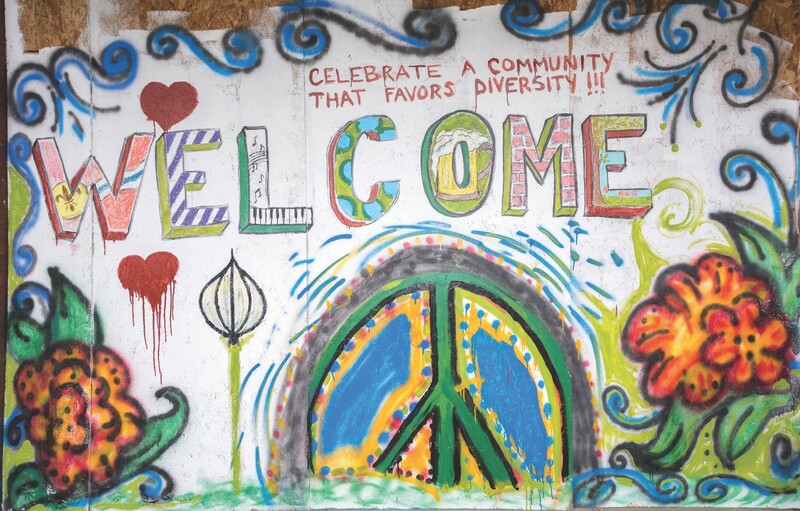 Painting for Peace in Ferguson possesses the wonderful ability to help foster understanding and discussion, not just with children but also with adults, many of whom are also struggling to comprehend the events that disrupted their lives and communities. 300 artists and volunteers created paintings in the City of St. Louis’s communities of Ferguson, Dellwood and South Grand. Such a gargantuan effort showers inspirations of hope, peace, and love among those communities and all who read Painting for Peace in Ferguson. If there is any drawback to Painting for Peace in Ferguson it is the text, with inconsistent rhyme patterns and the occasional slanted rhyme. The attempt to rhyme may be based on a false belief that children’s books need to rhyme to attract and hold a child’s attention. The Ferguson story would have been better served in simple and straightforward prose. Still, the message of Ferguson is clear and not easily forgotten, nor should it be. Painting for Peace in Ferguson has the power to ignite many a discussion from those with elementary children to those between adults. The symbol of hope and peace is one children should learn and embrace, but it began with the hundreds of artists who descended upon Ferguson in a united belief that Ferguson—and the country as a whole—can heal and grow. 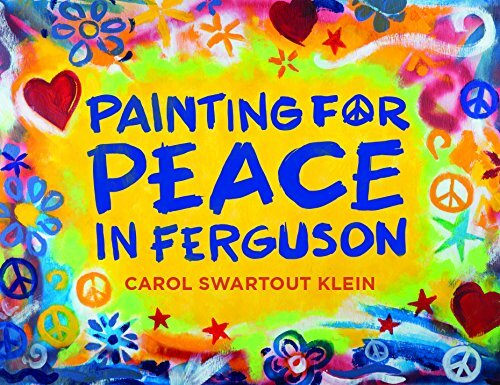 In this regard, Painting for Peace in Ferguson is a picture book like no other and belongs on the collective landscape for years to come as a reminder that communities need not implode in anger and grief—though greatly justified—when there is a better, more productive and satisfying option of healing in hope and peace—as in South Carolina these past few weeks. 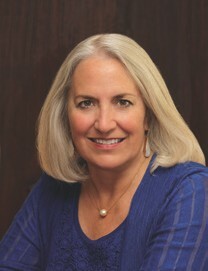 Author Carol Swartout Klein is a native of Ferguson. PAINTING FOR PEACE IN FERGUSON. Text copyright (C) 2015 by Carol Swartout Klein. Illustrations copyright (C) 2015 by Rachel Abbinanti, et al. Reproduced by permission of the publisher, Treehouse Publishing Group, St. Louis, MO. Purchase Painting for Peace in Ferguson at Amazon —Book Depository—Book’s Website. (Available in paperback 8/04/2015) **Proceeds from the sale of Painting for Peace in Ferguson are donated to youth arts and small business recovery in North St. Louis County. 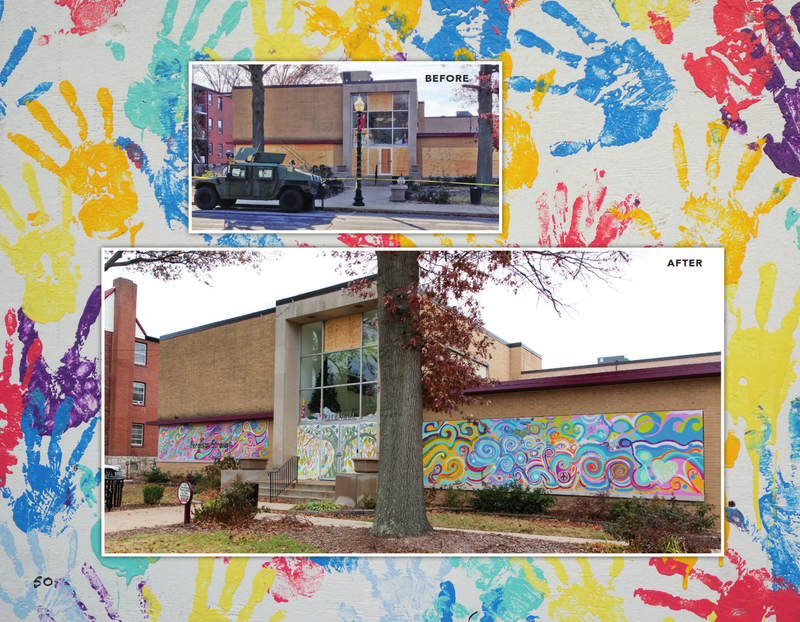 Learn more about Painting for Peace in Ferguson HERE. Resources for Parents & Teachers can be found HERE and HERE. Coloring Pages for Kids can be found HERE. Meet the author, Carol Swartout Klein, with her biography HERE. The riots following the grand jury’s decision in the Michael Brown case left storefronts along the main streets of Ferguson and the South Grand neighborhood of Saint Louis, Missouri with broken windows. When the businesses were boarded up the next day, they appeared closed and unsafe, furthering the economic hardship and community despair. Hundreds of local artists responded almost immediately by volunteering their time to help the businesses and beautify the affected blocks. Hundreds of gallons of paint were donated by individuals and businesses as far away as Massachusetts, and an online fund drive quickly raised nearly $1300. Carol Swartout Klein grew up in Ferguson, got her first set of jacks from the Ferguson Woolworths store (now the Ace Hardware store), got her first driver’s license at what was the Ferguson Department store (now BMI Fitness with personal training in Los Angeles), graduated from McCluer High School and got married at Ferguson Presbyterian Church. 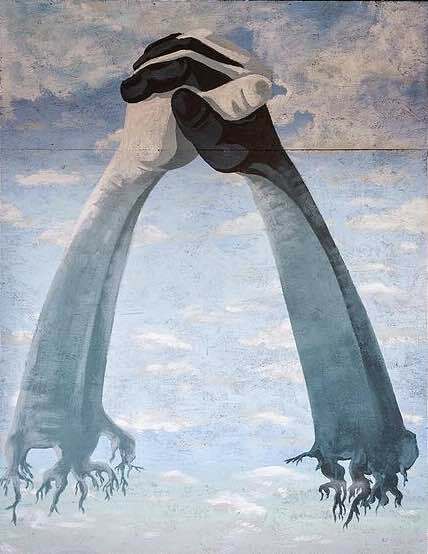 Love the thought of using art to heal. Thanks for your honest review, Sue. I love the grace and strong community that emerges from such challenges. Beautiful post! Thank you for sharing! I love your comments. Always thoughtful and intelligent. Thank you, Patricia. I really enjoy reading your comments.